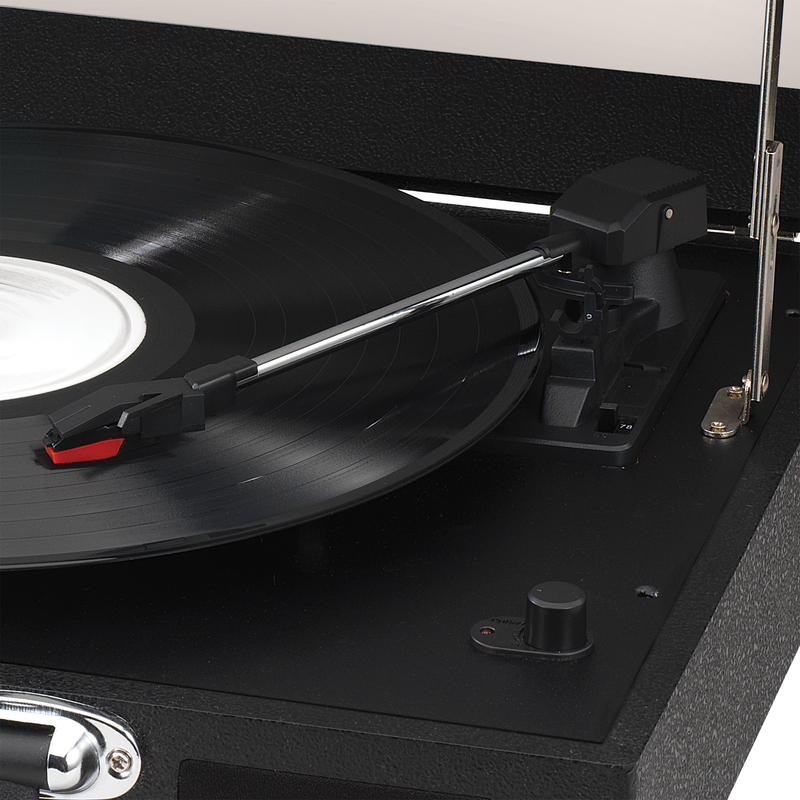 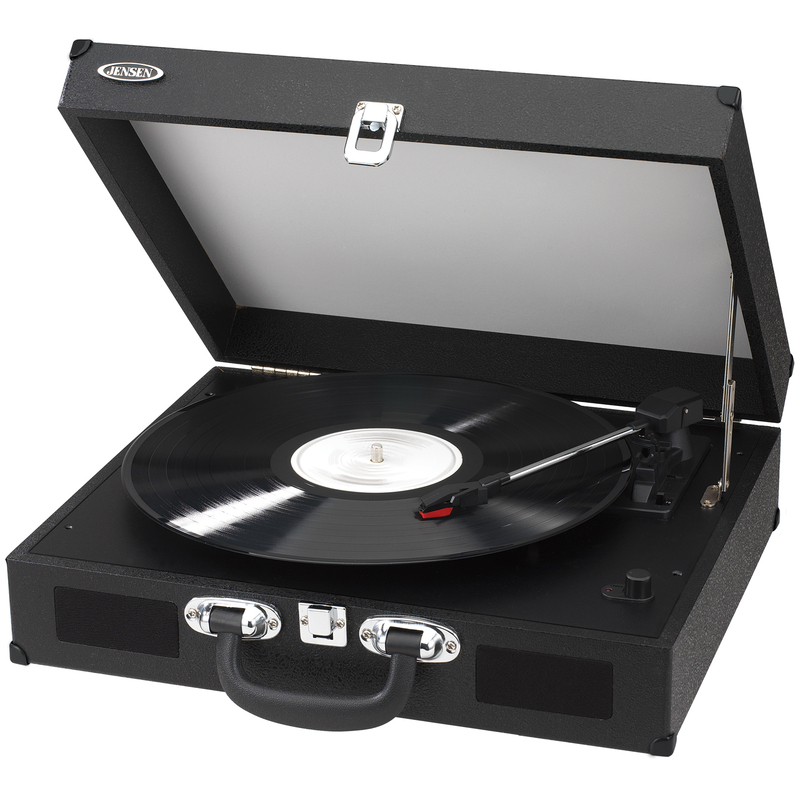 The JENSEN® JTA-410 is a portable 3-Speed Stereo Turntable with built-in speakers. 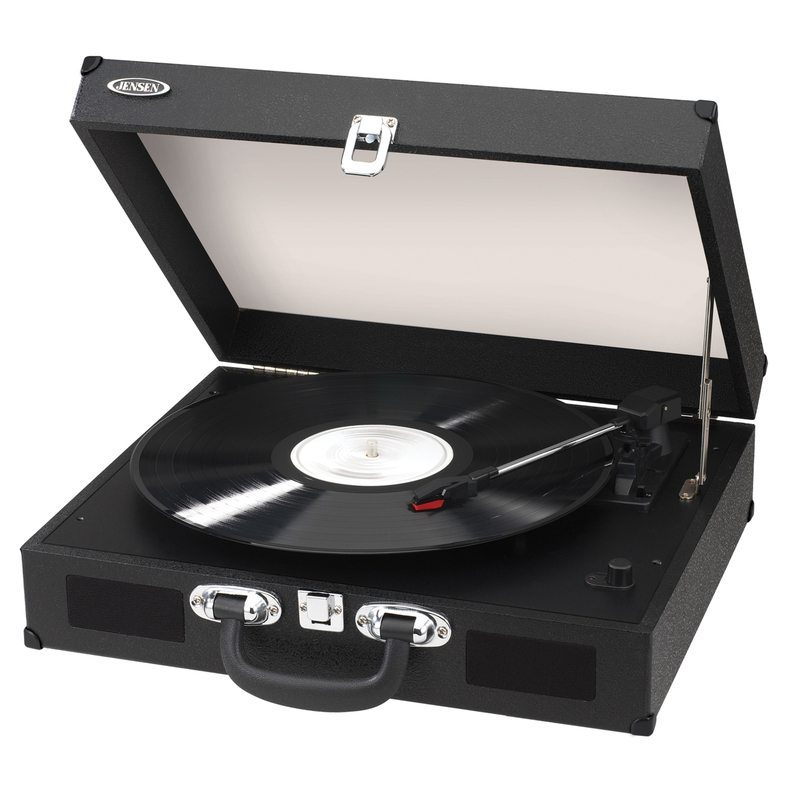 This classic design is jam packed with modern upgrades, like a USB port (cable included) to convert records to digital format, a fully automatic tone arm, built-in speakers, RCA line-out jacks, and an auxiliary input jack (cable included) for connecting your iPod®, MP3, or other digital audio players. 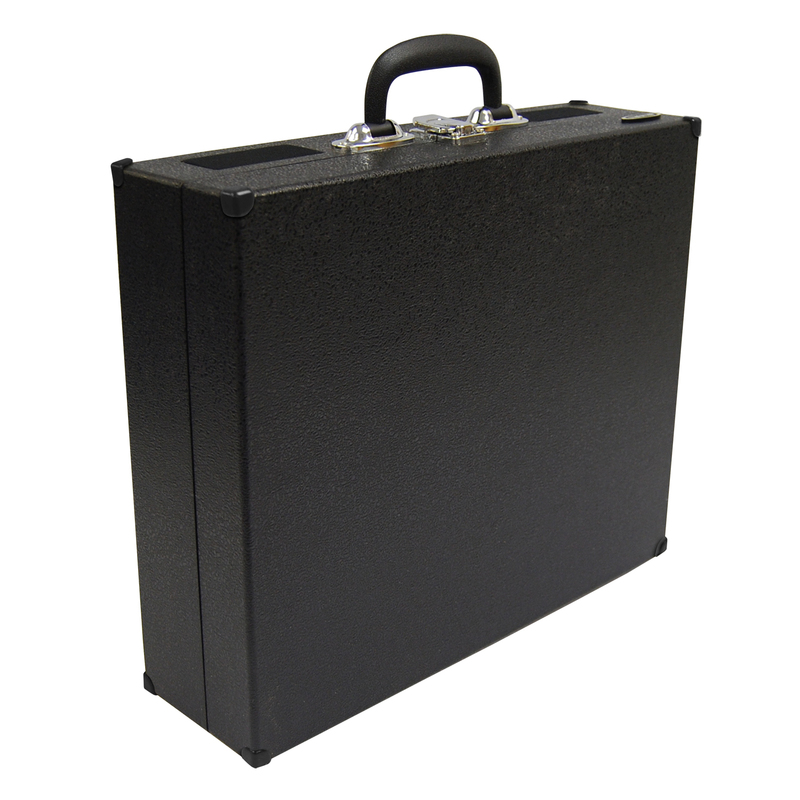 Choose from 3 fun leatherette case colors: Black, Red, or Blue. Ultimately, the JENSEN JTA-410 is a briefcase-style record player that is not only lightweight, portable, and stylish, but also delivers great sound.